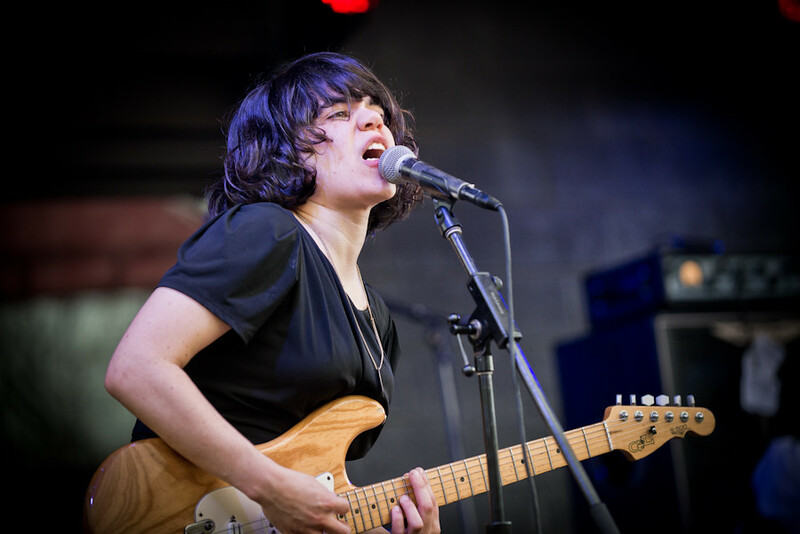 Earlier today, SPIN premiered a new video from Screaming Females. The New Jersey DIY-punk trio released their critically acclaimed sixth album Rose Mountain, earlier this year and are taking their blazing punk rock heroics on a national summer tour. Kicking things off July 27th in Cleveland, the band will make stops in Chicago, Omaha, Seattle, Los Angeles, Nashville, DC and more. Today, the band shares a new video for album track “Empty Head” which features life-size puppets of characters created collaboratively by director Tobias Stretch and the band. Drummer Jarrett Dougherty shares, “Tobias Stretch is an amazing video artist and we were very excited to work with him. He has developed a unique style of life-sized stop motion animation that uses the real world around us as the location. To fuse our esthetic with Tobias' style, Marissa and Tobias worked together to create two dimensional characters. We all worked to turn these characters into life-sized puppets and Tobias directed, shot and edited the video over many months. We are very pleased with the final look!"